You cant beat this view!! 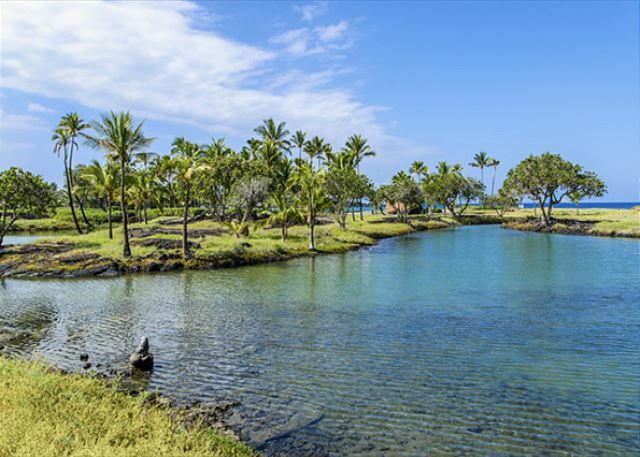 The absolute BEST location at the Mauna Lani Resort!! 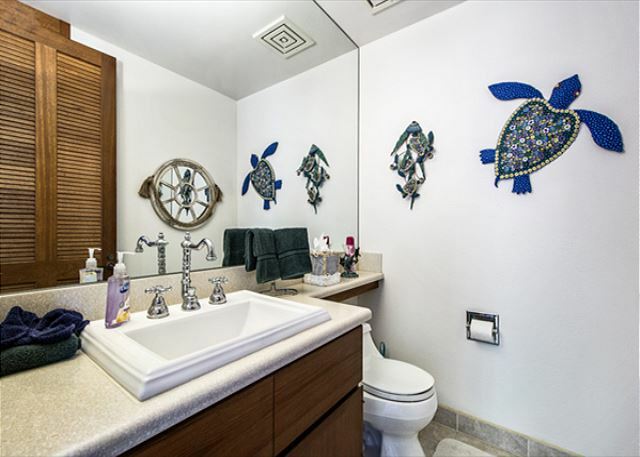 Direct oceanfront living at its finest!!! Brand new Lanai Furniture placed in April of 2017!! 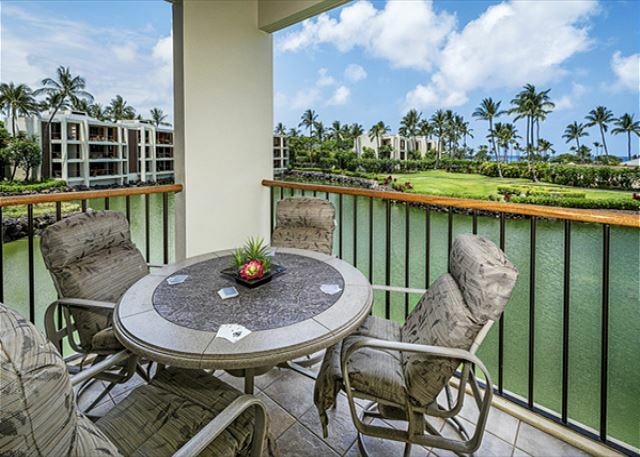 Welcome to the breathtaking views from your Lanai at Unit#D201 at the Mauna Lani Terrace!! Only 7 steps up to the unit to enjoy this jaw dropping view! Views from the 2nd floor are so much better than the ground floor!! The Lanais are huge!! The new lanai furniture is very comfortable!! The Living Room of Unit#D201! Comfortable furniture, HUGE TV for your enjoyment. Look at that view!! Tastefully decorated, comfortable furniture for enjoyment! There's so much space in this living area!! 1400 square feet of pure luxury. Indoor & Outdoor dining available!! 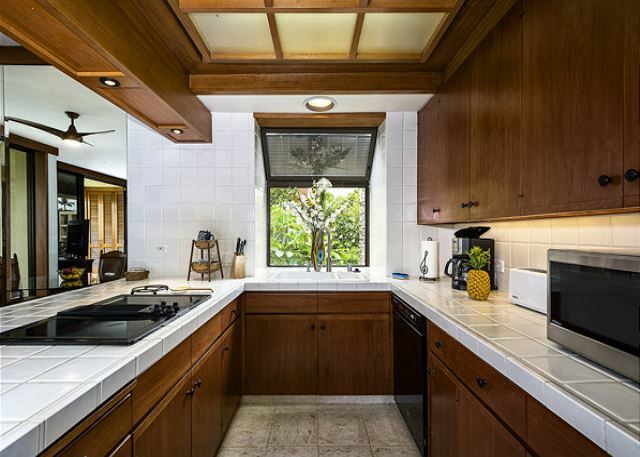 This kitchen has so much space!! Fully Equipped!! 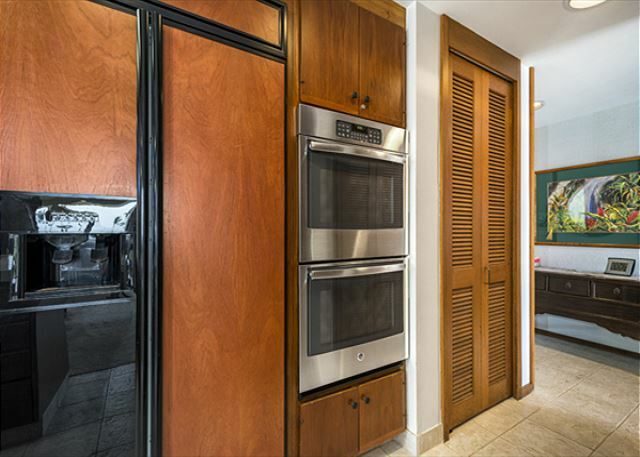 Full Sized Fridge, Oven, Dishwasher, Stovetop.. Juicer, Blender, Ricepot, Crockpot, you name it, Im sure this kitchen has it!! 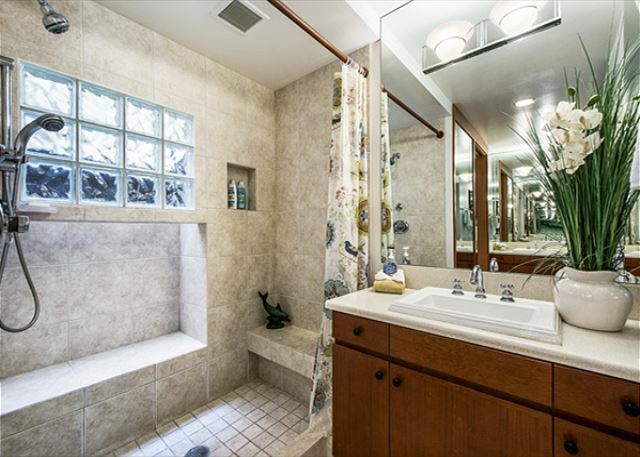 The Half bathroom for your guests!! The Master Bedroom! 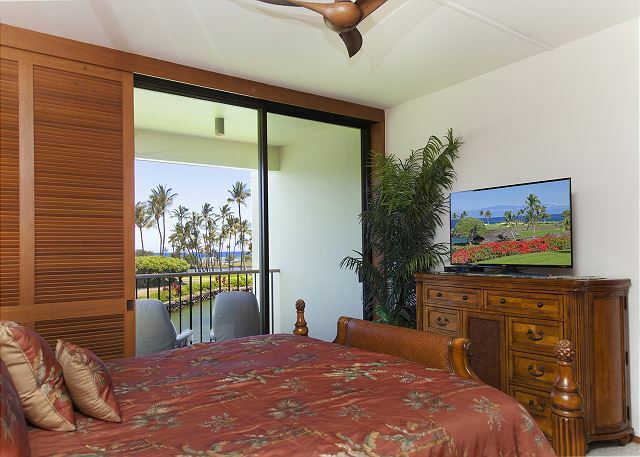 Extremely comfortable King Sized bed, Private Direct oceanfront Lanai, Huge TV for enjoyment. Amazing views from the Master bedroom. Huge Flat screen TV with upgraded cable package! 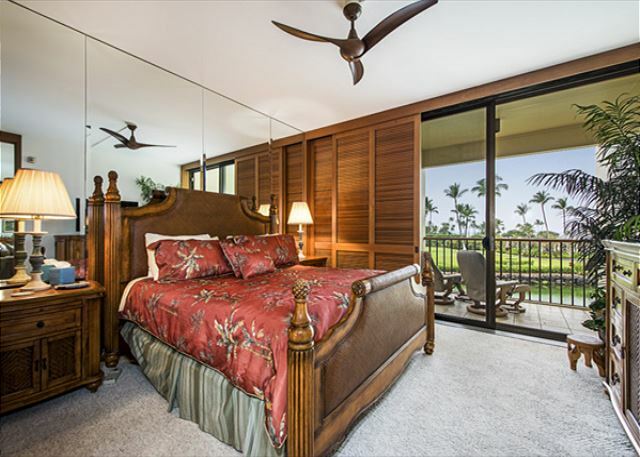 Master bedroom Lanai also has seating & Dining available!! Master Bedrooms Master Bathroom! Full Sized remodeled shower. There's another sink on the opposite side of the bathroom to allow 2 people to get ready in peace. This is the other sink on on the opposite side of the 1st one in the master bathroom. The 2nd bedroom! Very comfortable 2 twin sized beds that can covert to a King! Flatscreen TV, and Private Lanai as well!! 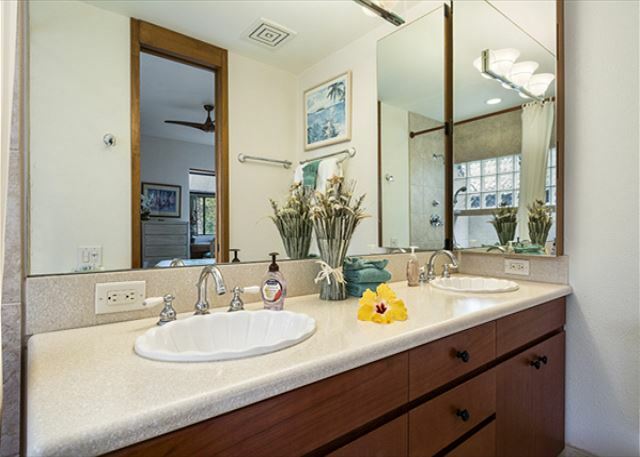 The 2nd bedrooms private bathroom has the wonderful double sink design for convenience. 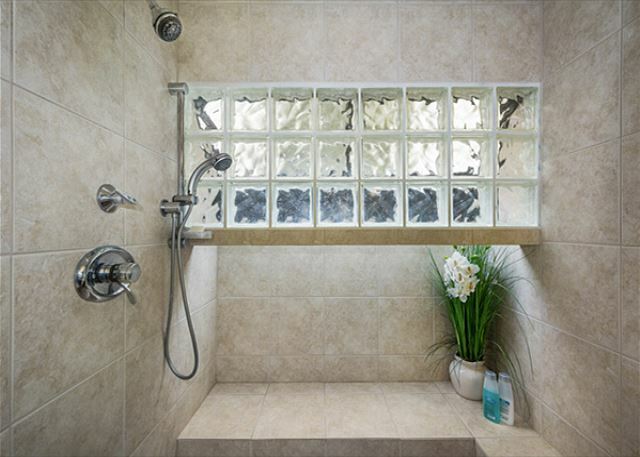 The 2nd bedrooms private bathroom has a beautifully remodeled shower. PRIVATE BEACH CLUB AT THE COMPLEX!! Sandy beach with restaurant & bar directly here! Only 7 stairs to the Unit! Very Manageable for just about anyone!! Just one area of the beautiful shoreline to the beach only steps away from your condo!! 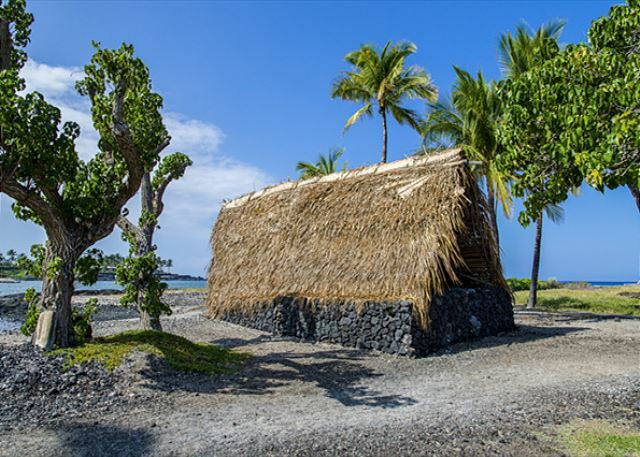 Sacred Hawaiian Heiaus on the complex!! True Hawaiian Authenticity at its finest!! Beautiful weather all day here at the Mauna Lani!!! AMAZING BEACHFRONT RESTAURANT AT COMPLEX!!! Napua!! 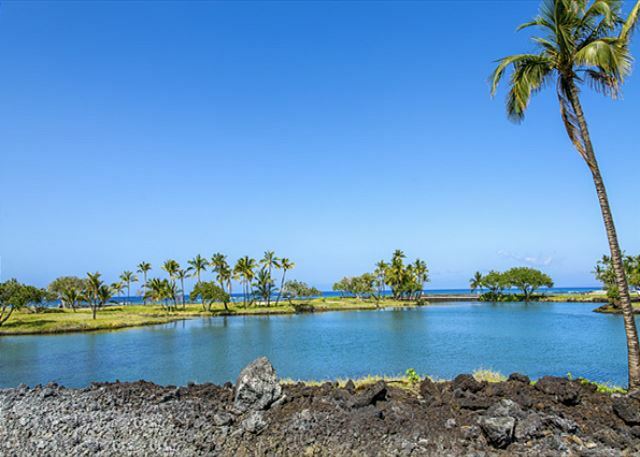 Ancient Hawaiian Fishponds DIRECTLY in front of your Lanai!! 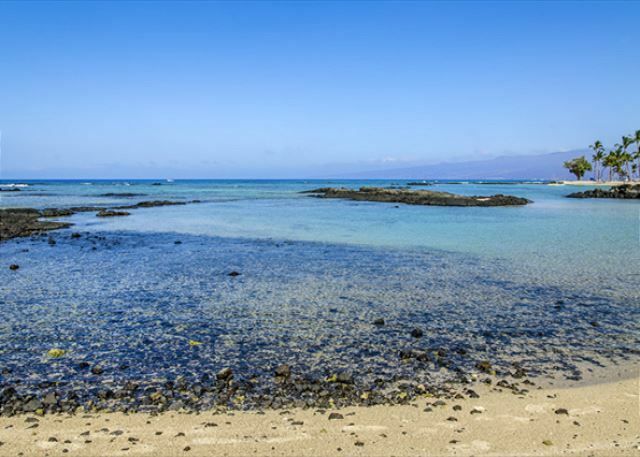 See the Mauna Lani Beach straight ahead!! Paradise awaits!! 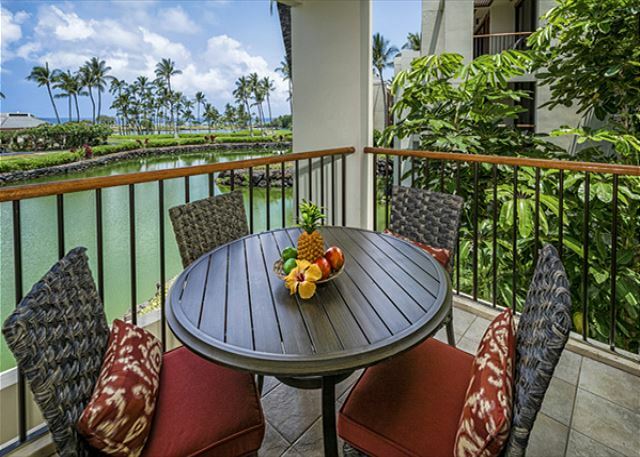 Welcome to the Mauna Lani Terrace! 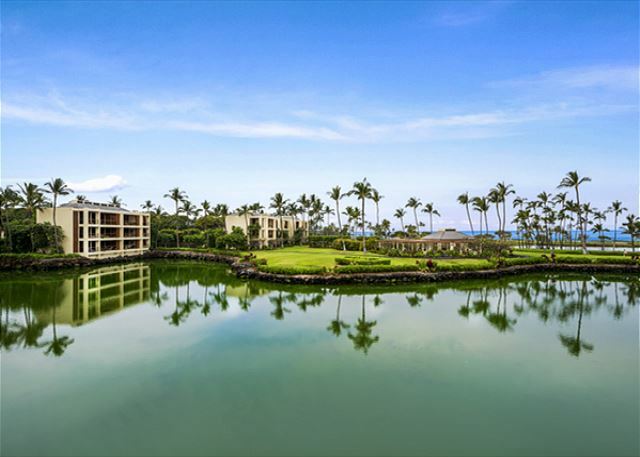 #1 Rated Property at the Mauna Lani Resort! BEACHFRONT LOCATION!! There's no better view than this one!! Direct oceanfront living at it's finest. BOOK D201 TODAY!!!! 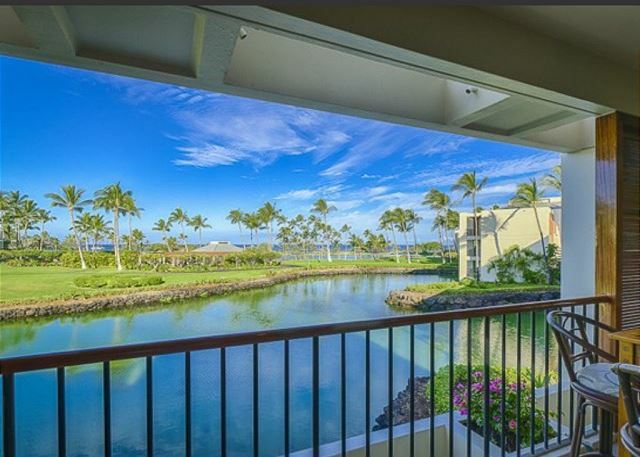 MAUNA LANI TERRACE#D-201 Beachfront Location, Breathtaking Views, BEST VALUE!!!! AMAZING NEW PROPERTY BOOKING SPECIALS FOR LAST MINUTE VACANCIES!! Call/Text Blake Kessner, Property Manager at 808-987-9295 or email blakekessner@gmail.com for any questions at all!! 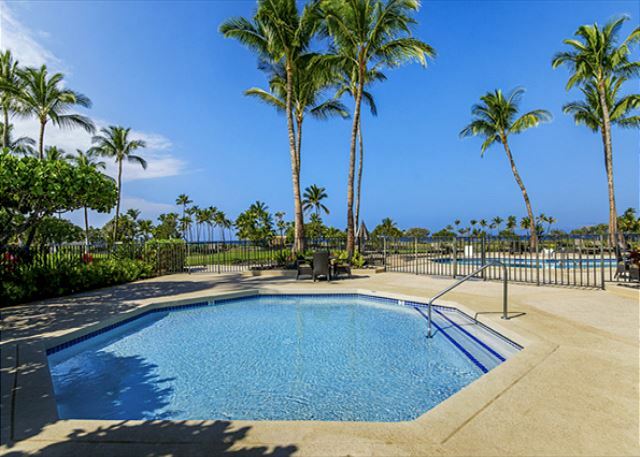 To get the BEST POSSIBLE RATE at a DIRECT BEACHFRONT condominium complex, book Unit D-201 at the Mauna Lani Terrace DIRECT! 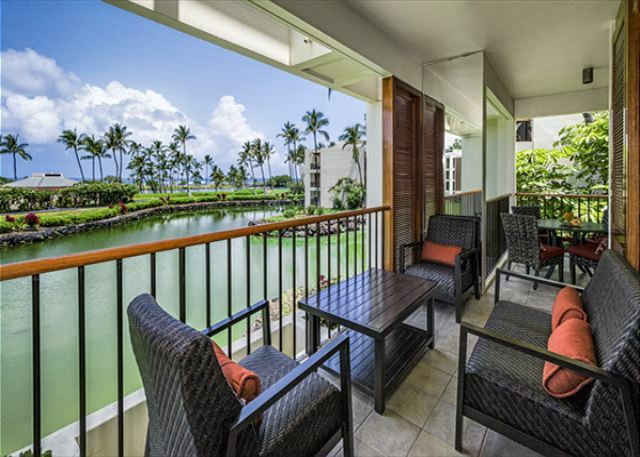 For a limited time, we're offering incredible pricing for Unit #D-201 at the Mauna Lani Terrace as a new property promotion to gain your business! GET 1 NIGHT FREE WHEN YOU STAY 14 DAYS OR MORE DURING AUGUST-OCTOBER!! (Book with us direct) AMAZING VALUE! PRIVATE BEACH, REMODELED, BREATHTAKING VIEWS! 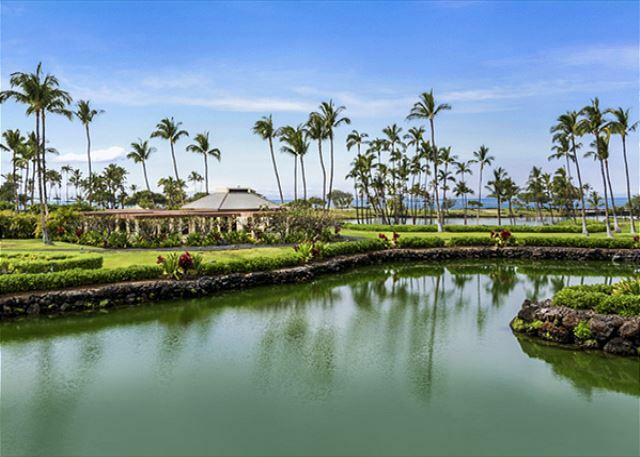 BRAND NEW OWNERSHIP at one of the finest properties that the Mauna Lani Terrace has to offer! 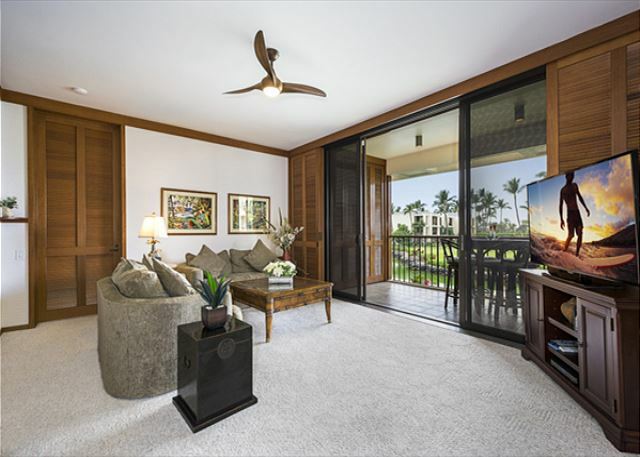 Enjoy breathtaking views of the ocean & Ancient Hawaiian Fishponds from your Living Room, Kitchen & Master bedroom! 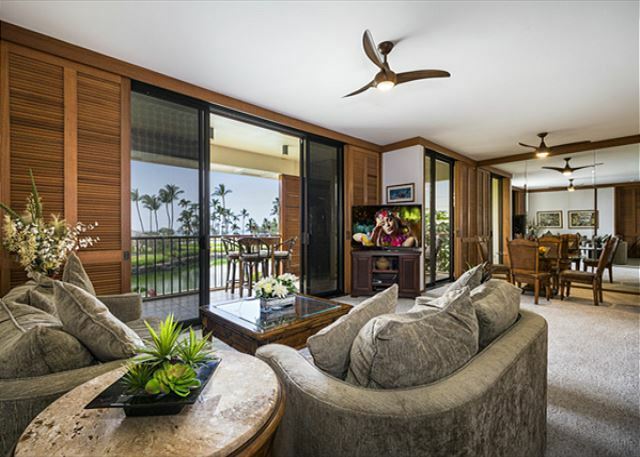 Unit D201, a 2nd floor luxury condominium is in immediate walking distance to the beach, phenomenal restaurants & the best shopping on the Big Island, Mauna Lani Spa, Mauna Lani Sports & Fitness Club & Award Winning Golf Courses directly from your condo. BEACH CHAIRS, BEACH UMBRELLA, SNORKEL GEAR, & COOLER ARE ALL INCLUDED WITH THIS RENTAL!! Stay cool in Hawaii's heat with Central Air Conditioning! Comfortable furniture, beautifully decorated, fully equipped with absolutely everything 6 people could need! 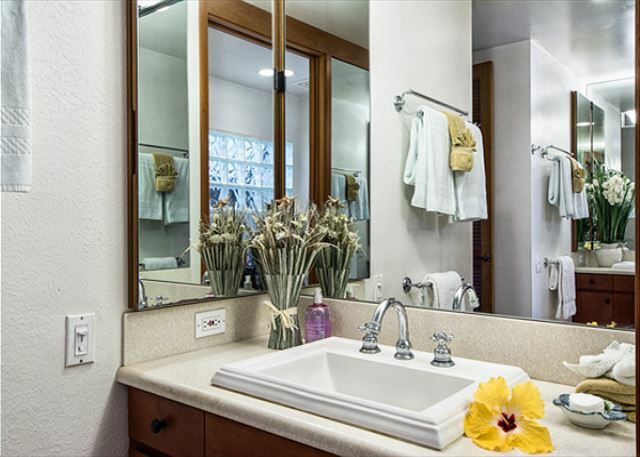 Each bedroom includes your own private lanai and remodeled bathrooms that have spacious walk in showers. 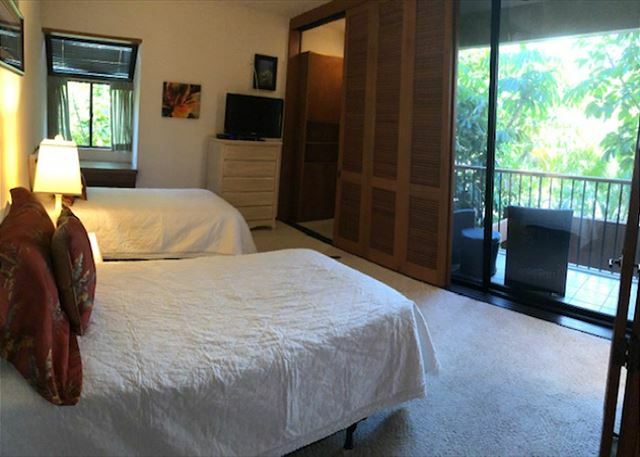 The Master bedroom has an extremely comfortable King Sized Bed and the 2nd Guest Bedroom Suite has 2 twin beds with the OPTION of Converting to a King if preferred.. huge closets for your belongings! Flat screen TV'S in the Living room, & both bedrooms! The owners have provided our guests the option of reserving 2 high end twin sized inflatable beds that can be set up prior to your arrival. (Additional costs for 5 or 6 people, inquire within) This way you can comfortably sleep 6 in this 1400 square foot luxury condominium. The owners have installed above and beyond high speed internet to allow multiple devices to connect seamlessly. Enjoy upgraded cable service that allows recording your favorite shows & movies. 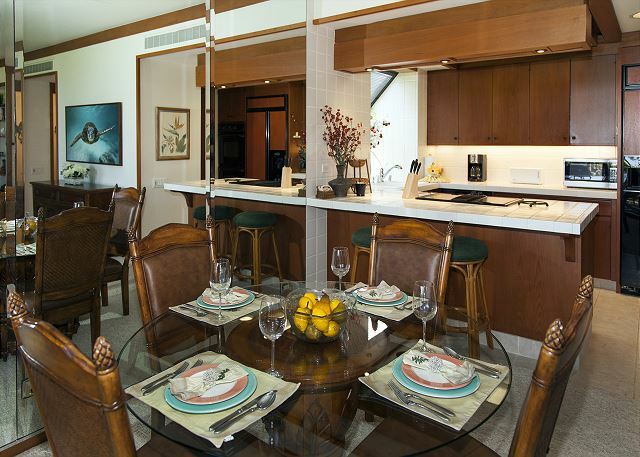 This luxurious, remodeled 2 bedroom, 2 & a half bathroom condo has incredible value. 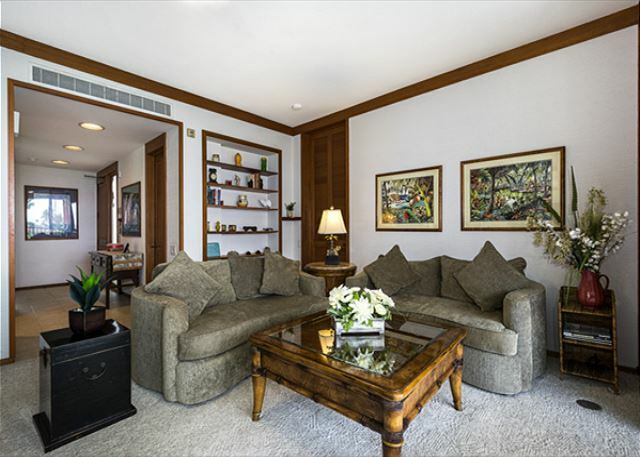 An exceptional condominium in an award winning condominium complex! 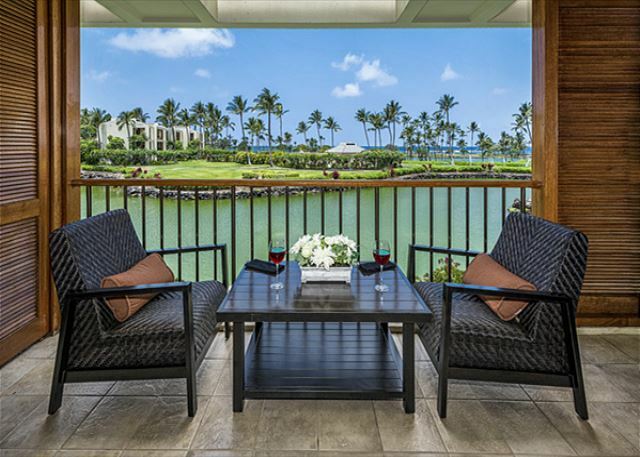 Mauna Lani Terrace has repeatedly been ranked #1 in it's category by travelers on Tripadvisor. It's extremely important to these owners & Property Management that every guests stay goes flawlessly. Property Management will do whatever it takes to ensure you have absolutely everything your group might need. 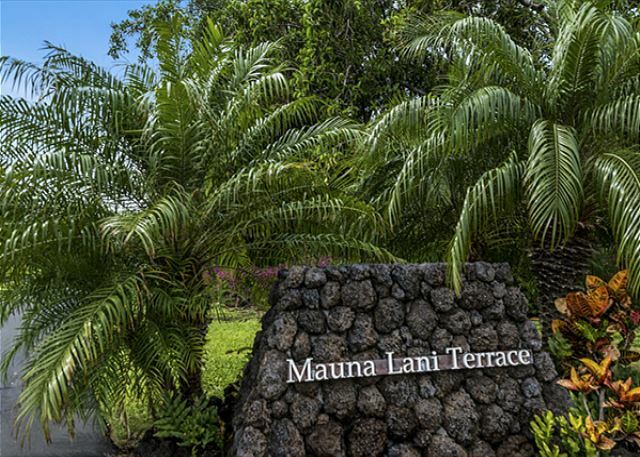 The Mauna Lani Terrace is known for its lush landscaping and beachfront location. It has a large pool, kiddie pool, Jacuzzi, and sauna. Enjoy spending the evening cooking at the picnic area which features BBQ grills for your use. 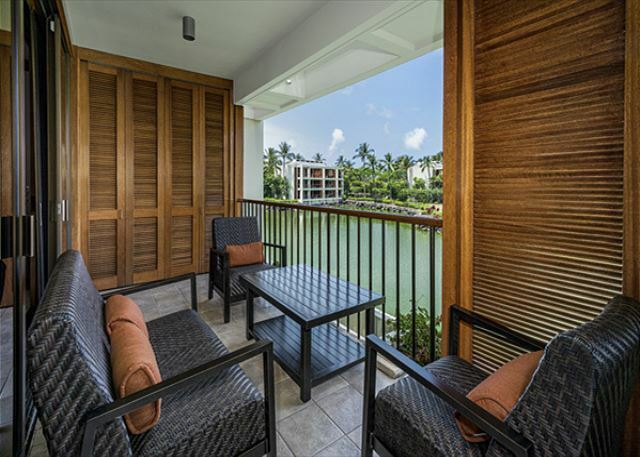 The Terrace is a very lush property and is the #1 rated property in the Resort!!!! Located in a very safe gated community. In the most desired beach resort!!! It's truly a very special place!! 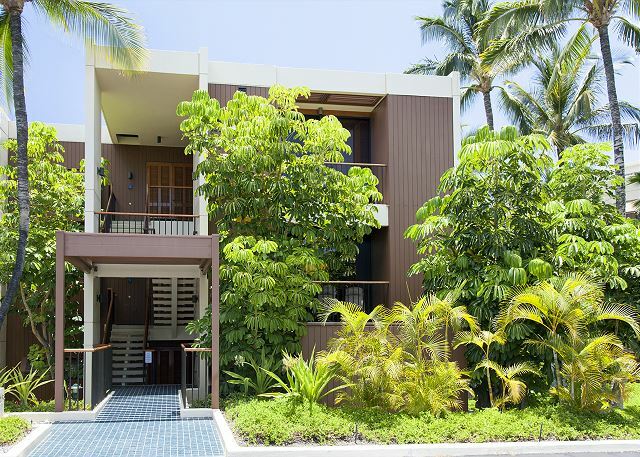 A remarkable feature staying at this complex is the PRIVATE BEACH CLUB! There's an amazing restaurant called Napua that sits on a white sand beach and has some of the islands best snorkeling. Anyone can boogie board, rent kayaks or rent stand up paddle boards!! The club offers cabana's and chairs. If you don't want to pack a cooler enjoy lunch, smoothies and adult beverages in the beautiful little restaurant. 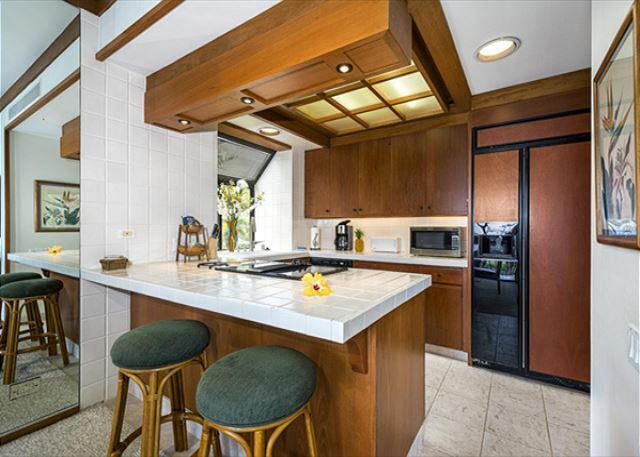 You'll be more than impressed staying at this remarkable condo. 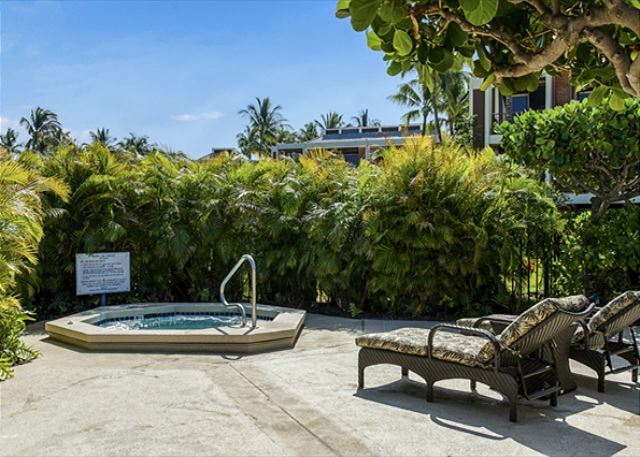 The Mauna Lani Terrace is without a doubt one of the best places to stay on all of the Big Island. **TAKE A VIRTUAL TOUR OF THE PROPERTY!! SEE LINK IMMEDIATELY BELOW! We enjoyed our stay at Mauna Lani Terrace. The condo was well furnished, the kitchen well stocked and the beds comfy. We Had all of our coffee, drinks and meals on the lana. 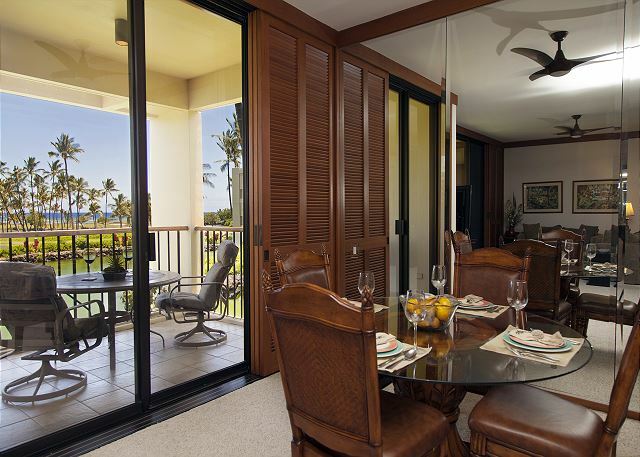 Both couples enjoyed having a lanai off the bedrooms as well. The pool area is lovely with cushioned furniture, a plus in my book. The ancient fish ponds are amazing, we always visit this are while on the island. 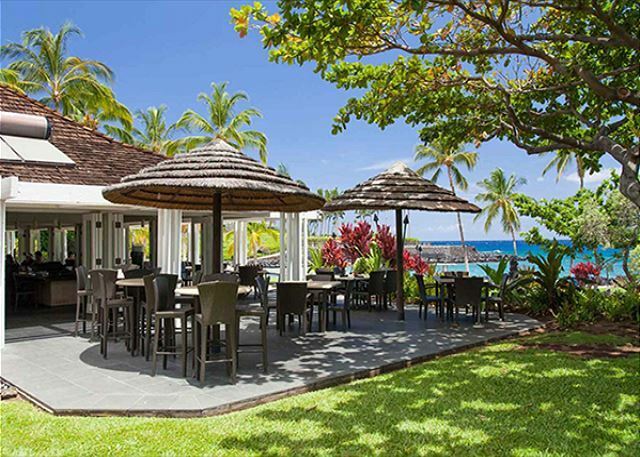 The small beach is great for swimming and Napua has terrific service, food & drinks. Aloha Robert & thank you for your review! We appreciate the feedback, and are pleased to hear that you enjoyed your stay at Mauna Lani Terrace. Mahalo & we hope to see you again soon! Big Island life at it's best! Thank you for staying with us at Mauna Lani Terrace, Valerie! We hope to see you again. Mahalo! Aloha Daniel, thank you for staying with us at Mauna Lani Terrace! It's a great unit! We hope to accommodate another stay for you soon! Mahalo! Thank you for the kind review, Jeffrey! We're glad you enjoyed your stay at MLTD201. Mahalo! Awesome rental! So far, our best stay in Hawaii! a guest from El Dorado Hills, CA does not recommend this vacation rental. Stunning Vacation Rental with Exceptional Ocean Views!